Eric grew up in the sun, surf and smog of Southern California, but has been in the Twin Cities since 1991. It took awhile, but Eric is now used to the blizzards, ice, and road construction that make up Minnesota’s theater of seasons. 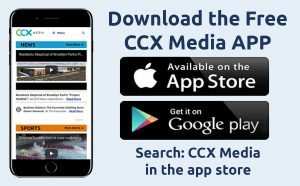 Eric is a news reporter at CCX Media and currently is a weekend sports talk host at WCCO Radio in Minneapolis. Eric has also been a sportscaster at WCCO-TV and WQAD-TV in the Quad Cities. Eric likes to hike, play flag football in the elements, bring his boys to sporting events and travel – especially to Colorado, Montana, and any state with good mountain hiking trails.